The process of building or re-designing your company’s website can be a daunting task. Part four of the five-part “Web101” series explores steps you should take in preparation of your website’s launch. The process of building or re-designing your company’s website can be a daunting task. Part three of the five-part “Web101” series explores the steps you’ll encounter during your site’s design and development. The process of building or re-designing your company’s website can be a daunting task. Part two of the five-part “Web101” series explores easy ways to efficiently relay content & ideas to your web partner. The process of building or re-designing your company’s website can be a daunting task. 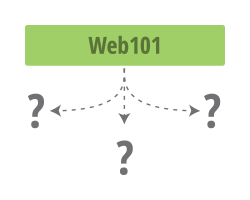 Part one of the five-part “Web101” series explores what you can expect from the process and your web partner throughout the experience.